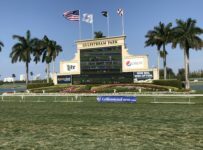 Racing is back on the turf at Gulfstream Park on Friday, a day when bettors will be chasing a Rainbow 6 carryover of more than $760,000. 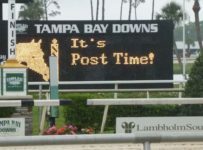 But more rain is in the forecast for the afternoon, and that holds the prospect of switching some races from turf to dirt. 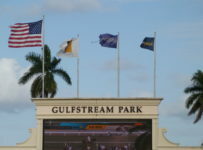 First post is 2:15 p.m. for Gulfstream’s nine-race card. 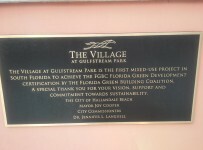 That also will be first post at Gulfstream on all Fridays through Sept. 1. 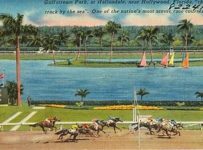 The dirt track and turf course ae both listed as Good. 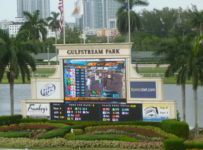 Amid rain on Wednesday and Thursday, Gulfstream moved scheduled-for-turf races to the dirt track that was listed as Sloppy. 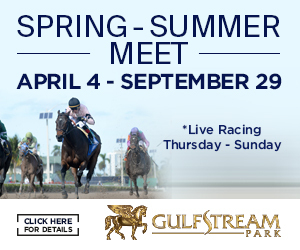 On Friday the first, third, fifth and seventh races remain on turf as scheduled. 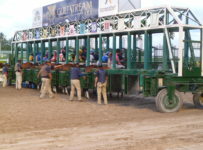 The portable rail for all four races will be 120 feet. 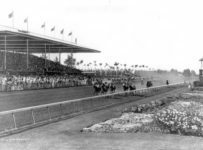 It had been scheduled for zero feet or 60 feet in those races. As usual, the outer and higher part of the course has withstood the rain better than the inner part. 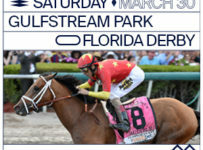 The ninth race was scheduled for 7-1/2 furlongs on turf. 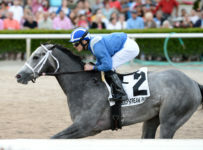 It has been moved to dirt where it will be run at seven furlongs. Skies are cloudy around South Florida this morning. 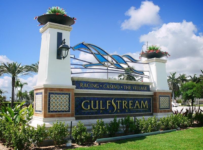 The Weather Channel forecast is for a chance of thunderstorms between 45 percent and 80 percent during racing hours in Hallandale Beach, where Gulfstream is located. 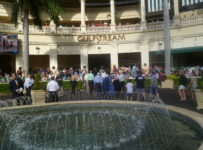 While weather is today’s big issue, a main attraction is a carryover of $763,003 on the Rainbow 6. It is on races four through nine. 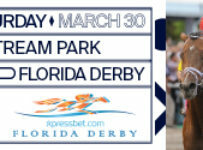 The feature eighth race is the $50,000 Ocala Flame Handicap, at 6 1/2 furlongs on dirt for 3-year-olds. We will have coverage during the afternoon on our blog, which can be accessed on the menu bar located at the top of the home page of this Web site.